This is a panel discussion with industry leaders who have worked to identify students in need of financial support in addition to coaching and mentoring. Combined, the organizations represented on the panel have created solutions that deliver measurable outcomes to a population of students that can be very hard to find using traditional selection criteria, but are in high need of support. The session is intended to help you think differently about your scholarship evaluation process that aligns more with today’s post-secondary environment. 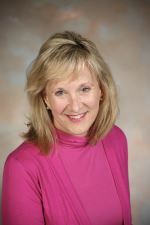 Susan Basil King has served as Executive Director of Wallin Education Partners since 2013 and has overall responsibility for leadership, planning and management of Wallin Education Partners. Under her direction the organization has increased the number of scholarships awarded by 70% and has doubled the number of foundation, corporate and individual donors. Susan leads efforts to enhance the experience of scholars in the program and to broaden the reach of the organization. She is a passionate supporter of equal access to educational attainment and service to community. For 10 years, Susan was a consultant working with clients in all sectors to improve performance. She began her career as Director of Enrollment Planning at Saint John’s University and the College of Saint Benedict. Susan was Director of Marketing for Ernst & Young/Twin Cities, a Principal at Manchester Companies, and served as President of Children’s HeartLink. 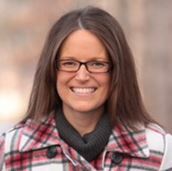 Sara Dziuk joined College Possible as the leader of the Minnesota site in 2010. During her tenure, College Possible Minnesota has doubled the number of students supported and the amount of revenue raised. The site also launched and expanded programming throughout the state of Minnesota and has been recognized with several awards, including the Nonprofit Excellence Award for large nonprofits from Minnesota Council of Nonprofits in 2013 and Inaugural Eureka Award for Innovation from Minneapolis/St. Paul Business Journal in 2014. Prior to leading the College Possible Minnesota site, Sara was a senior leader at Junior Achievement of the Upper Midwest. Sara was responsible for JA’s K-12 programs–impacting 120,000 students annually with lessons on financial literacy, career and college readiness and entrepreneurship. In her years at JA, Sara managed both development and program responsibilities and was instrumental in introducing new programs, overseeing educational evaluations, developing relationships with donors, schools and community partners and sharing best practices with sites across the U.S. In 2010, Sara was recognized by Junior Achievement of the USA with the “JA Rising Star Award,” honoring her leadership and achievements. Before her work with Junior Achievement, Sara served as vice president of the Greater Mankato Convention & Visitors Bureau. In this role, Sara managed the strategic, financial and day-to-day operations of the non-profit organization. During her tenure with the organization, the non-profit was recognized with 15 state and regional awards for producing exceptional results and demonstrating innovation. Sara was recognized as a Minneapolis-St. Paul Business Journal 2013 40 Under Forty honoree for demonstrating exceptional business savvy, leadership and community involvement. Sara holds an MBA from Minnesota State University in Mankato, and a bachelor’s degree in management from Gustavus Adolphus College. Bonnie Melville joined Scholarship America in April 2017, bringing to the organization significant experience in business-to-business operations leadership. Bonnie has been involved in higher education throughout her career. As a CPA and Auditor for Ernst and Young, she focused on postsecondary institutions. As a volunteer on the board of trustees of her alma mater, Carleton College, she has raised funds and mentored first-generation college students. She joins Scholarship America after serving in leadership positions for software and services companies GeoLearning, Ceridian and RedBrick Health. In those roles, she led operations teams during periods of major product introductions and expansive growth, driving efficiency and improving client and employee experiences through technology and process improvements. 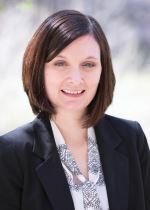 In addition to her Bachelor’s Degree from Carleton, Bonnie received her CPA after additional coursework at the University of Minnesota’s Carlson School of Business. Financial aid policy at the Federal level is experiencing significant changes including new year-round Pell Grant disbursements and potential changes to Stafford Loans and the Work Study program. Hear from a federal policy expert to understand how changes will impact the students you support and perhaps identify ways in which your scholarship should evolve in the future. Jillian Klein is Associate Vice President of Government Affairs & Public Policy for Capella Education Company, where she works with internal and external partners on higher education policy, postsecondary innovation and federal financial aid compliance. Prior to her current role, Jillian worked in financial aid offices in both for-profit and not-for-profit institutions for a decade. Jillian received a B.A. in business administration from Augustana College in Sioux Falls, South Dakota and a M.A. in systematic theology from Luther Seminary. She is an alumna of the Policy Fellows program at the Humphrey School of Public Affairs at the University of Minnesota, and lives in Minnesota with her husband and two young girls. College Advising Corps aims to increase the number of low-income, first-generation, and underrepresented students entering and completing higher education. Hear from a leader about ways to partner with College Advising Corps to deliver great impact and outcomes. Corps. Danny holds a bachelor’s degree in Spanish from the University of Virginia and a master’s degree in Higher Education Administration from the University of Virginia Curry School of Education. Scholar Snapp is a free, simple to use data standard that allows students to reuse their application information — including contact information, essays, transcripts, etc. — from one scholarship application to another thereby streamlining the college scholarship application process. Learn how to become a Scholar Snapp partner on July 13th! As the College Success Tools leader, Oscar oversees the foundation’s comprehensive college success products and services. 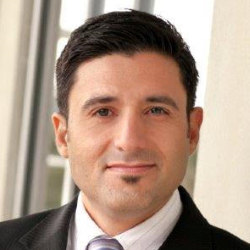 Prior to joining the foundation in 2005, Oscar was director of student retention and workforce development for the Oregon Council for Hispanic Advancement. Other past experience includes work with the Oregon Human Development Corporation and with AmeriCorps. Oscar has a bachelor’s in political science and Spanish from the University of Oregon and is a leadership fellow at the Institute of Nonprofit Management at Portland State University. Adding wraparound services to scholarships can be cost-prohibitive for many programs. “Marrying Mentoring & Money” will talk about how Scholarship America has joined forces with EduGuide to create a seamless, scalable, and low cost way to connect mentors to the students you support. See how this mobile application with pre-built curriculum can help mentors stay connected and support students across the country without a significant investment in time or money. 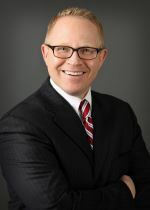 Mike Nylund joined Scholarship America in July 2013, bringing more than 20 years of professional experience and a deep knowledge of financial aid policy and administration. Previously, Nylund served as director of financial aid operations, customer service and compliance at Capella University. There, he led the financial aid team and worked side by side with Enrollment, Academic Advising, Marketing & New Program Development to ensure institutional goals were met while maintaining compliance with federal and state financial aid regulations. Nylund is a graduate of Michigan State University and a former recipient of the Medio J. Bacco Memorial renewable scholarship. When he’s not working, he enjoys travelling, hiking, cooking, and spending time with Diesel, his favorite golden retriever.